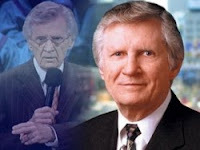 Israel lost a dear Christian friend and supporter on Wednesday when David Wilkerson, pastor of Times Square Church in New York City, was killed in a tragic car accident near Dallas, Texas. Wilkerson is perhaps best known abroad for his 1963 book "The Cross and the Switchblade," which chronicled his earlier years ministering to drug addicts and gang members in New York. The book was eventually made into a hit movie starring Pat Boone, another staunch Christian supporter of Israel. Israel Today: As an American Christian, how did you feel about the war in Iraq? Wilkerson: I preached about Saddam Hussein’s fall and warned our President that everything revolves around Israel. Oil is not the main concern. Saddam planned to destroy Israel, with the help of other Arab nations. Saddam Hussein is a stubborn person, and I’m thankful that God gave our President this strong conviction to save Israel from him. Israel Today: Do you really believe that President Bush will choose to be biblically driven instead of politically correct concerning Israel? Wilkerson: That’s why I call on American Christians to pray for our President daily and also to pray against the anti-Semitism that still exists in the Church. God warned me when I first established Times Square Church that we must always remain faithful to Israel. And I always have. Israel Today: You are here in Europe, where many Christians have no understanding of the US-led war in Iraq. Wilkerson: Many Christians in Europe simply don’t understand God’s Word. Saddam’s rockets were only aimed at Israel, not at neighboring Arab states. Beyond that, rising anti-Semitism in the churches can be felt here, particularly in Great Britain. Israel Today: Would you describe Islam as a peaceful religion, as your President did? Wilkerson: I read the Koran and I am sure that this book is false teaching. Islam is a religion of destruction. I find it so strange that Gospel preachers don’t understand that God didn’t break His covenant with Israel. God gave the Land to Israel, and every nation that wants to destroy Israel will be punished. Israel Today: You have great courage to take such a strong pro-Israel stand. Wilkerson: I’m often criticized in the Christian world for this. But I feel God’s rich blessing for it, which is much more valuable to me. Israel Today: After the war in Iraq, Israel is once again at the top of the world’s agenda. Do you think the ‘roadmap’ has a chance to bring peace between Israelis and Palestinians? Wilkerson: No! How can Bush, who knows the Bible, have no fear of God and pressure Israel into territorial compromise for the sake of the roadmap? God will punish him for it. The dollar will fall, Bush will sink into depression and he could very well lose the next election. I pray daily that the President’s believing advisors will influence him more than his political advisors. Israel Today: In other words, you’re saying there’s no human solution to the conflict between Israel and the Arabs? Wilkerson: God has promised to protect His people. He’s made a covenant and given them the Promised Land. He set the nation’s borders and He will safeguard them. I don’t see a realistic hope for peace because I can’t imagine that Israel will relinquish the Jewish settlements, as the Arabs are demanding. The Arabs also say there won’t be peace unless East Jerusalem becomes the capital of a Palestinian state. But that’s strictly against God’s will. My friend, if the world forces Jerusalem to be divided, it will come to chaos. Israel Today: We in Israel can thank God that He is our secret weapon. Wilkerson: Please publish my warning to the nations that take a stand against God’s people and His city Jerusalem. God said this and He will fulfill it. Shalom and God’s blessings.